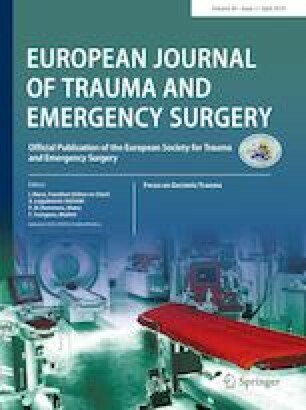 Patients with multiple injuries are particularly susceptible to accidental hypothermia which is correlated with an increased risk of post-traumatic complications and mortality; however, its impact on neurological outcome in cases where there is concomitant traumatic brain injury is underexplored. We analyzed severely injured patients (ISS ≥ 16) including a moderate-to-severe traumatic brain injury (AISHead ≥ 3). The primary endpoint was objective neurological recovery, expressed as Glasgow Outcome Scale (GOS) score at time of discharge. Secondary endpoints were mortality, systemic inflammatory response syndrome (SIRS), sepsis, acute respiratory distress syndrome (ARDS) and multiple organ dysfunction syndrome (MODS). Statistical analysis included logistic regression (odds ratio). The significance level in all analyses was p = 0.05. We analyzed 278 patients (M age = 43 years, SD 19; M ISS = 32.8, SD 10.7). Mortality was 17% (n = 14). 102 patients (37%) were hypothermic on admission. Hypothermic patients were more severely injured (ISS 35.6 ± 11.1 vs. 31.2 ± 10.1, p = 0.001; APACHE II 18.1 ± 7.4 vs. 16.2 ± 7.3, p = 0.045) and had a higher transfusion requirement. Mortality rate in hypothermic patients was increased (23.5 vs. 13.1%, p = 0.03); however, hypothermia was not an independent predictor of mortality. Median GOS at discharge was 3 (IQR 3); in 47% of patients the outcome was favorable (GOS 4 or 5) and 36% it was poor (GOS 2 or 3). There were no differences in post-traumatic complications. Analysis of 73 matched pairs of hypothermic and normothermic patients could not prove hypothermia as an independent predictor of poor neurological outcome (OR 1.7, 95% CI 0.8–3.6, p = 0.1) in the total population. However, older patients (> 41 years) had a 4.2-times higher risk (95% CI 1.4–12.7; p = 0.01) of poor neurological outcome, if they were hypothermic on admission. Accidental hypothermia seems to have a negative impact on neurological recovery in older patients with multiple injuries including traumatic brain injury which outweighs potential benefits. Presented at the 2015 German Congress of Orthopaedics and Traumatology: Deutscher Kongress für Orthopädie und Unfallchirurgie (DKOU 2015). Berlin, 20–23 October 2015. Düsseldorf: German Medical Science GMS Publishing House; 2015. DocWI29-1202. https://doi.org/10.3205/15dkou165. Marcel Winkelmann, Wiebke Soechtig, Christian Macke, Christian Schroeter, Jan-Dierk Clausen, Christian Zeckey, Christian Krettek and Philipp Mommsen declare that they have no conflict of interest.